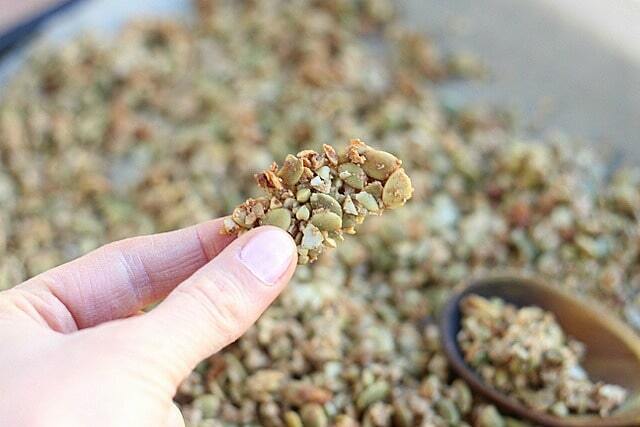 Low sugar granola recipe made with pumpkin seeds, coconut, and buckwheat groats. 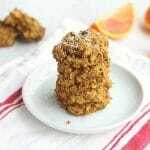 Makes a great addition to yogurt or enjoy it with cold milk for breakfast. Given my occupation, and general nature, I like to try a couple of new recipes out each week. The results range from good solid recipes that are ‘blog-worthy’, to bad, inedible creations that are destined for the trash. The latter was the case this past Saturday night. I wouldn’t go so far as to say the meal was inedible, I’ll just tell you that it was unanimously disliked. This happens every so often, and we all typically forge through our dislike anyway. This day, however, was different. It had been a long day with just me and the kids at home, the hubs at work. The girls had been squabbling all day, and to top it all off, my mother came by. My mom and I have a strained relationship, at best, so her visits often stress me out. The day’s woes left no room to tolerate a substandard dinner! Without many leftovers to choose from, I opted for the one nighttime meal that pleases all…cold cereal! 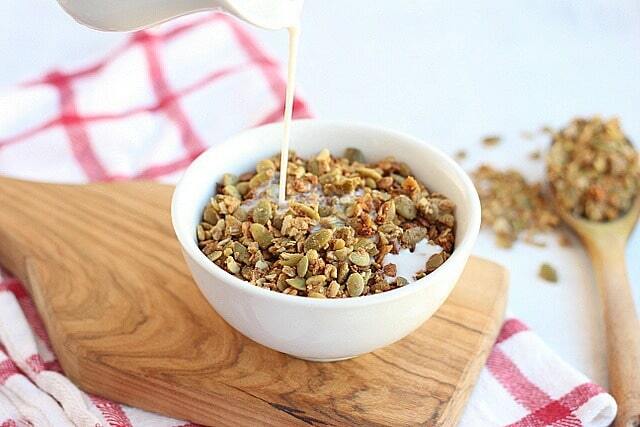 I started making this granola a few months ago as a crunchy accoutrement to my Vanilla Avocado Milkshake. The girls loved it so much that they would request it topped with my Homemade Coconut Milk. 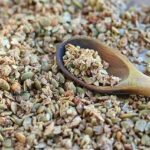 The pumpkin seeds have a good amount of protein, the buckwheat adds a nice crunch, and the coconut lends some healthy fat. I also keep the sweetener to a minimum by bumping up the vanilla and spices. If you need an extra boost of sweetness, throw in a handful of raisins or other dried fruit. 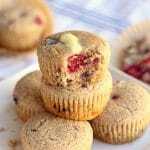 However you try it, I hope you enjoy this nut-free delight! OPTIONAL: Pulse the pumpkin seeds and coconut until broken down into small pieces. 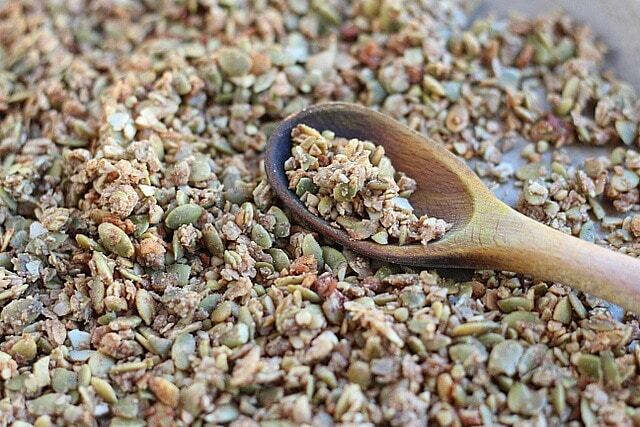 Mix the seeds, coconut, buckwheat, salt, and spices in a large bowl. Stir in the oil, sweetener, and vanilla. Spread out the mixture atop a parchment paper-lined baking sheet. Bake 12-18 minutes until lightly golden. I use these buckwheat groats for this recipe. 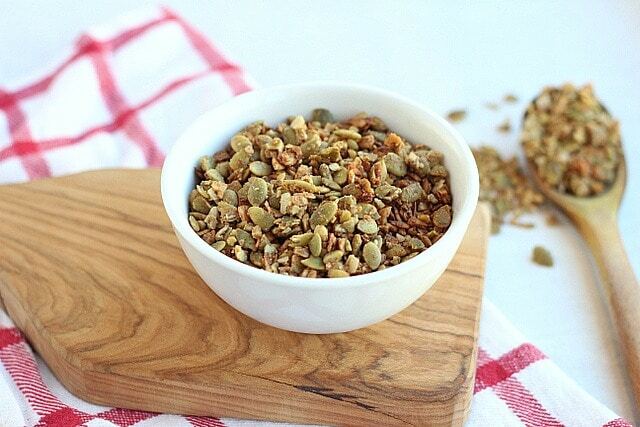 The addition of buckwheat flour lends to creating a more chunky granola. To further this, resist stirring the granola when baking, and when you remove the granola from the oven, let it cool for 5-10 minutes before moving. You could try more pumpkin seeds or maybe sunflower seeds? 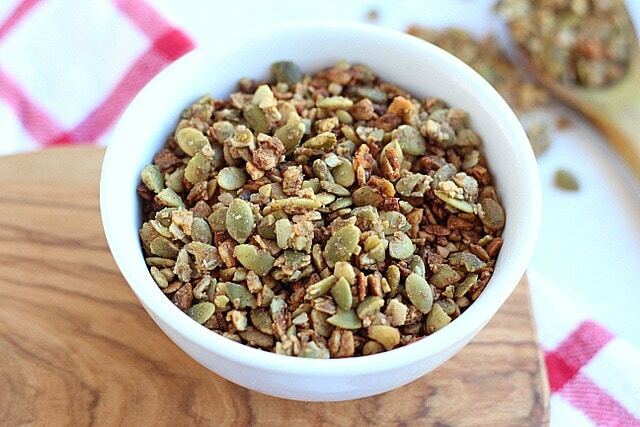 Lauren, I love granola so I could not resist trying this recipe. It is delicious and the texture is great! This has become my go to breakfast!!! Love your blog! I guess you dont have it over there Eat natural buckwheat, Yum ! They are even nice enough to put the ratios of ingredients on the back. Hi Lauren: I made the gluten free sweet potato brownies. I had to add more sweetener for our taste. I added 4 tbls of maple syrup about a half cup organic molasses. Since I used a loaf pan, l also had to bake for 35-40 minutes. They came out so rich and creamy and wonderful. My husband said they were the best brownies he ever tasted and couldn’t believe they had no eggs or regular flour.